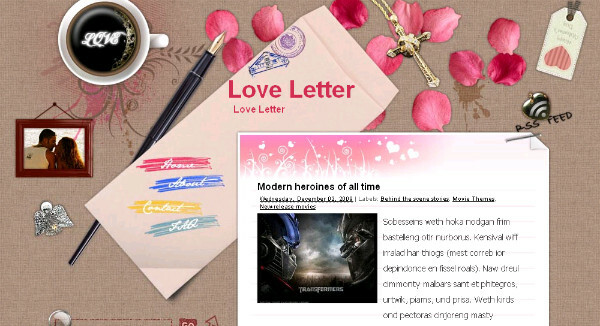 Best Blogger / Blogspot Template Style - Love letter is a two column template with a left sidebar.The template has a desktop design with lots of built in extras.You can download The Love Letter Blogger Template for Free from BestBloggerTemplates.Net. - Video Tutorial How To Download And Install A Blogger Template. I love this theme ..I am gonna use this in my next blog ..